The Accu-Shot BT01-QK Standard Quick Knob Precision Monopod is great for most applications found in the field and will raise your stock in height 3.50" - 4.65". 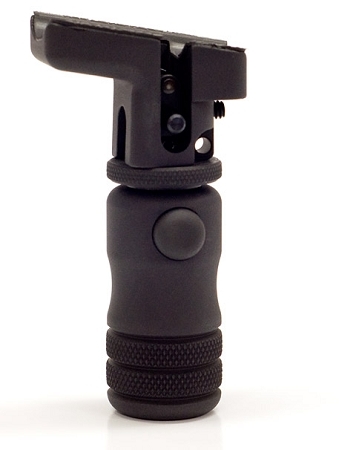 The monopod is offered as an aid, to be used when applicable. 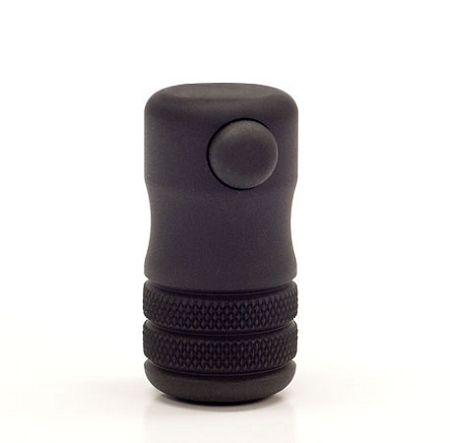 The Standard Quick Knob (QK01) allows quick gross adjustments with the push of a button! The Knob has a spring loaded button that when depressed allows the operator to slide the knob up or down on the Actuator Rod quickly into the desired sight picture. When the button is released, the fine threads are re-engaged and the operator can make the final adjustments by rotating the Knob. The Quick Knob replaces the standard knob on BT01, BT04, BT08 and BT12 providing the same approximate range of elevation. Accu-Shot BT04-QK Standard Precision Monopod w/ Quick Knob 3.6" to 4.75"